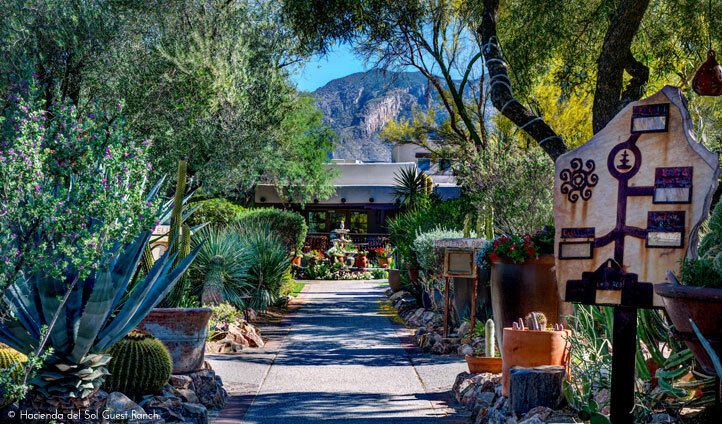 Originally a ranch, this impressively isolated retreat is nestled atop a hill in the heart of the Tucson desert framed by the Santa Catalina Mountains. And while it may feel miles away form civilisation, you’re in fact a mere 10 minute drive from La Encantada’s swanky stores, St Philip’s Plaza’s stylish boutiques. Plus, your only 30 minutes from the Tucson International Airport, meaning you can go from the plane to the pool in no time. A mixture of historic builds and contemporary accommodationss, Hacienda is home to 59 rooms, suites and casitas, all of which are complete with modern comforts and stylish luxuries. 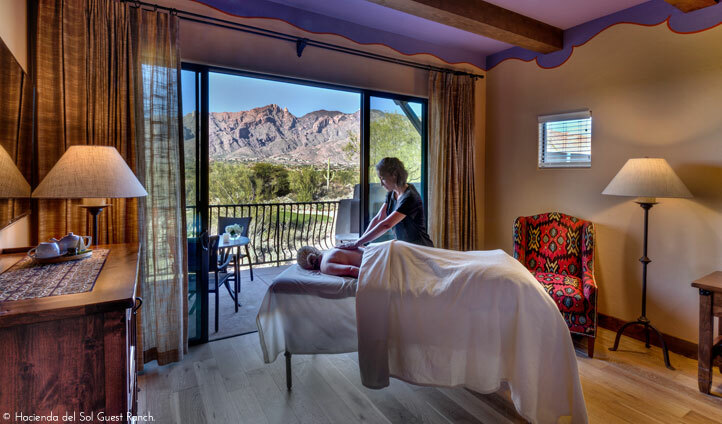 Each of the historic rooms are steeped in south-western charm and character, while the newer rooms combine modern furnishings with traditional materials to reflect the beautiful Arizonian surroundings. But, if your stuck for choice (since its hard not to be), then we suggest booking yourself into the incredible Catalina Suite, whose Spanish-style interiors, hand-crafted furniture, sumptuously plump beds, spa-like bathrooms and breath-taking views will certainly impress.